Natural flair led Tonya King to fill a niche in local fashion. As a teenager she went to modeling school and had some early experience participating in showcases, but personal taste is what paved the way for her career as a business owner. 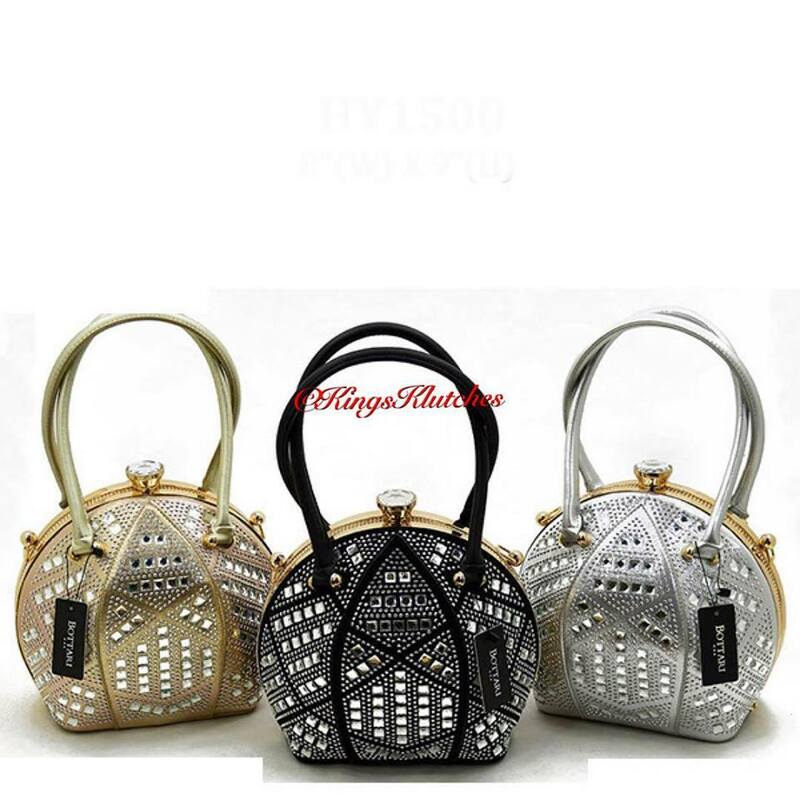 It started with a handbag she bought in the Lansing area. 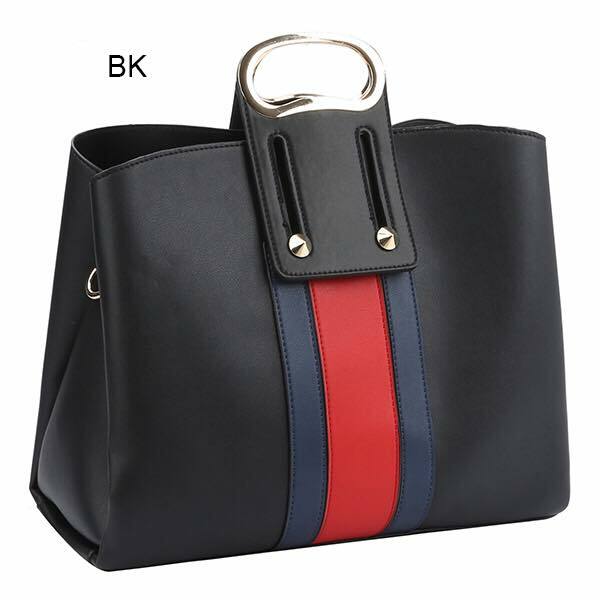 When King bought a second bag and received similar reactions she was inspired to compare her own accessory preferences with those in the popular retail market. 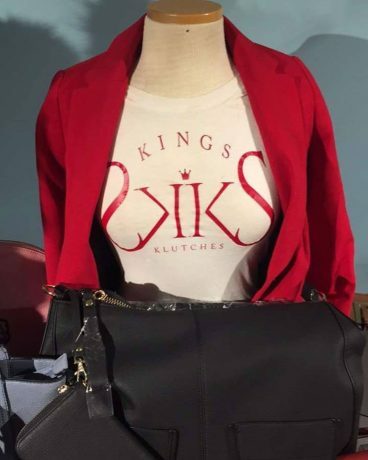 Since delving into the realm of design, she has sold handbags and similar items in Flint and other cities through her company, King’s Klutches. Admiration from others of the brand-name styles she preferred led King to launch the business in May 2014. “That’s what made me start to research and learn that I had an eye for expensive bags,” she says. King’s Klutches became an extension of her earlier industry aspirations. “I always wanted to do something in fashion, but I didn’t want to do clothing,” King says. 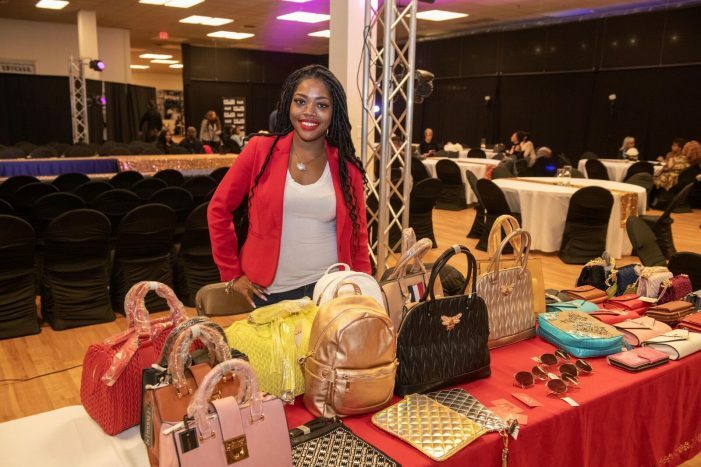 Operating as a one-woman company, she has built a considerable client base by appearing at vendor events throughout Flint and shipping purses, backpacks wallets and other items to online purchasers. “In four years I’ve gained over 500 customers and the majority, more than 75 percent, for sure, are local,” King says. But she had to overcome a learning curve before making the leap from stylish buyer to creator of appealing accessories. She first consulted her great-grandmother, who’d sewn most of her life, but the pair quickly realized purse material often requires a different method and tools than what they had available. “A purse,” King anxiously chuckled. “I’ve learned quite a bit,” she says. For inspiration she turned to popular designers whose work she admires. “I looked at Henri Bendel, Kate Spade, because she was such a popular handbag designer, and, as far as uniqueness, Gucci,” she says. Quality products, pricing and performance are among the hallmarks of Kings Klutches. King has attended more than 50 vendor events, which helped inspire her to host “Mixing Entrepreneurs, Getting Acquainted” from 1 p.m. to 5 p.m. Dec. 1 at the Sylvester Broome Empowerment Village, 4119 N. Saginaw St. Vending, literature tables and other ways for business owners to participate, even without directly selling products, are still available. “Doing so many events over the past years, it was insightful for me to see how many businesses there were,” says King. She wants entrepreneurs to get to know each other and network, possibly developing “Mixing Entrepreneurs, Getting Acquainted” into an annual event. King’s Klutches will also participate as a vendor at Word of Life Christian Church during Flint Small Business Saturday Nov. 24, offering special discount rates. The event will bring together 75 area entrepreneurs with the goal to capitalize on the busiest shopping weekend of the year by giving customers an outlet to support local retailers. King’s additional plans for the business include marketing King’s Klutches as a mobile boutique. While she has continued working in fashion shows as a runway coach, and occasionally getting back in front of the camera, King says creating accessories is her primary focus. For additional information about “Mixing Entrepreneurs, Getting Acquainted,” click here. Editor’s Note: Flint Small Business Saturday is taking place at Word of Life Church located at 460 W Atherton Road in Flint. 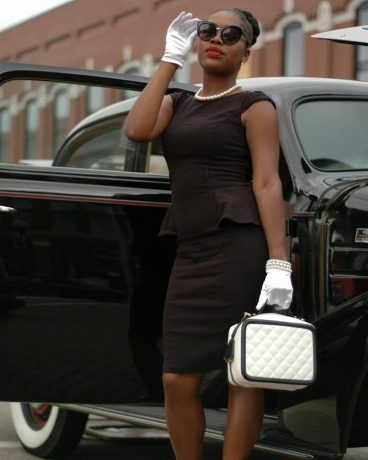 The event starts at noon and runs until 5 p.m.
For additional information on the event’s founder Ebonie Gipson and more details click here.